Minister of Youth and Sports, Barrister Solomon Dalung, will be in Casablanca on Sunday February 4, 2018 to cheer the Super Eagles to victory when they meet the host, Morocco, in the final of the 2018 African Nations Cup. Nigeria defeated Sudan by a lone goal in one of the semifinals while their opponents Morocco thrashed Libya 3-1 to advance to the final. Barrister Dalung expressed excitement over the Super Eagles’ qualification, stating that this will be another ‘first’ in football under his watch. “This is historic because the Super Eagles have never gotten to the final of the African Nations Championship. They have the support of the Nigerian government. They have the support of the Ministry and the Nigerian people and the only justice in the circumstance is to bring back the trophy to Nigeria. “I want to also thank Nigerians for their support and encouragement, standing by the team and most especially the Nigeria Football Federation for ensuring a rancour free tournament for the team throughout their stay in Morocco”. Earlier, when he visited the camp with the NFF President Amaju Pinnick, Barrister Dalung appreciated the team for their performance so far. The final match between Nigeria and Morocco holds at Stade Mohamed V, Casablanca . 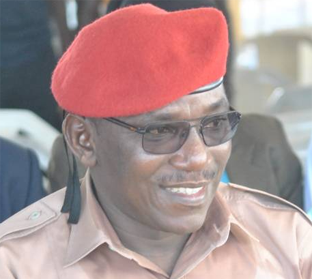 The post CHAN: Dalung in Casablanca to cheer Super Eagles Feb. 4 appeared first on Vanguard News.